In the fall of 2014, the four assistant principals at Carolina Day School attended the annual Southern Association of Independent Schools (SAIS) conference in Atlanta. Matt Scully (Director of Technology at Providence Day School in Charlotte, NC), whose school was about to roll out a 1:1 iPad program, presented on the topic of digital citizenship as a necessity for any type of school. Departing the conference, we debriefed on Matt’s presentation and how digital citizenship might fit into our community; we all felt this was an important task for the school to take on. As a result, during the 2015-16 school year we assembled a committee to begin building a digital citizenship program that would be tailored to fit our school’s needs. Each division selected a faculty member to champion the program in the division, with the entire program overseen by Bo Attwood, chief technology coordinator at CDS. Our committee traveled to Providence Day School in February 2016 to meet with Matt Scully and learn how to “roll out” a digital citizenship program. Matt graciously spent more than five hours with our group, walking us around campus and highlighting the aspects of their digital citizenship program. He gave us access to his digital citizenship resources and recommended many others. Once we returned to Asheville, our committee switched into high gear to begin planning our version of a digital citizenship program. 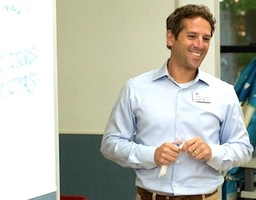 We created a common shared language about what tenets should be included in this program. In Key Middle school we focus on the ethical use of technology, discussion about appropriate screen communication, expectations for use of technology as a learning tool, and safety issues. We also offer Lunch & Learn sessions for parents. In Middle School, we teach “netiquette.” In Grade 7 Humanities, we teach responsible Internet research and then reinforce it throughout the year—how to choose reliable web resources, how to cite them (images, too), how to avoid plagiarism. We look at the idea of bias in resources and discuss the need to look for a mix of perspectives. In terms of social media, we stress the importance of being positive and constructive when commenting on each other’s blogs created for school assignments. 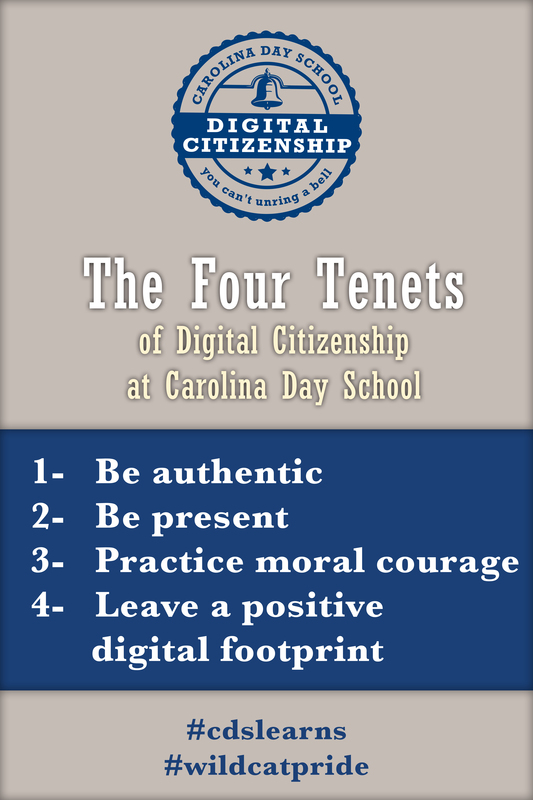 In Upper School, we discuss the nine facets of digital citizenship with each of our freshman classes. The students write about ways digital citizenship issues impact their daily lives (both in and outside of school) and share their thoughts with each other in class discussion. Throughout the school, we balance technology with traditional forms of communication. It is critical for students to be able to excel in both arenas.